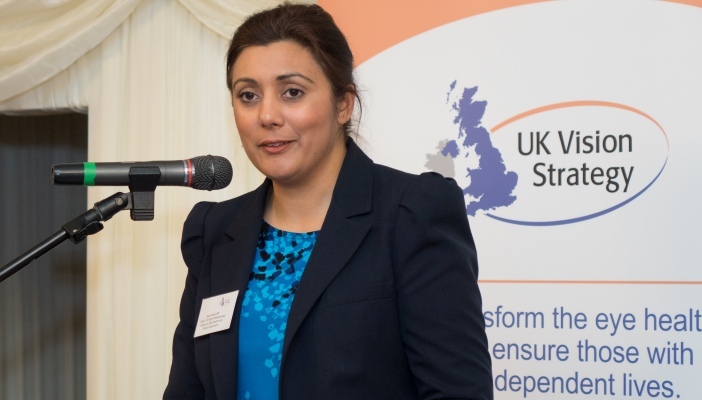 A parliamentary reception organised by the UK Vision Strategy called for a greater priority for eye health and sight loss services. Lord Low of Dalston, CBE and leading organisations from the eye health and sight loss sectors hosted a recent parliamentary reception in the House of Lords. The event encouraged MPs and Peers to give greater priority to eye health and sight loss services, and to promote full social inclusion for people with vision impairment. Organisations presented briefings, taken from topics highlighted in the UK Vision Strategy Manifesto, to demonstrate how MPs and Peers from all parties can engage with effective interventions to save sight and deliver a better quality of life for people living with sight loss.